There’s nothing sweeter than the feeling of victory you experience when you land a job, especially after an exhausting search process. But that feeling soon wears off as you set about proving yourself to the people who hired you. Just how do you do that? And how do you realize your full potential? Here are four suggestions to help you thrive on the job. Just as water is essential to the human body, so is communication to the functioning of an organization. When co-workers and business partners communicate openly and easily, the work they handle flows smoothly. When communication is difficult or disordered, it causes blockages in flow—work can hit barricades, stagnate, or come to a halt. For a business to thrive and customers/clients to be kept happy, these blockages must be avoided at all costs. This is where your awareness comes in—you have the opportunity to positively influence communication at your new organization. But what does it take to be a great communicator? Great communicators probably all have “conversational intelligence,” a term coined by author and organizational anthropologist Judith E. Glaser. Step 1: Transparency. Be open and transparent about what’s on your mind. Step 2: Relationship. Extend the olive branch, even with people you may see as a foe. Step 3: Understanding. We learn what is really on people’s minds by seeking to understand their needs and emotions and seeing the world through their eyes. Step 4: Shared success. Create a shared vision of success with others. Step 5: Testing assumptions and telling the truth. [Empathy] is the highest level of trust we can experience together. Being a great communicator doesn’t mean you’re never allowed to disagree—it just means you need to consider carefully how your message is delivered and how it might be received. You must also be readily open to receiving the messages of others. Executive career consultant Ian Christie echoes this philosophy when he warns that you’re putting yourself at risk if your boss is the only person in your organization who knows how good you are at your job.3 What would happen if your boss abruptly left the organization? Who would be left to champion your work or advocate for your promotion? By taking the time to connect with co-workers and key decision-makers, you can build up a network of individuals companywide who know your track record and can vouch for your character. And the great news is that connecting with the culture isn’t as difficult as it may sound, even though it may require you to step out of your comfort zone. You can connect by attending work functions/social events; having lunch with co-workers and discussing your respective work projects; volunteering to join a committee or run a training session for another department; initiating an interdepartmental project; and/or inviting a co-worker to attend a networking event outside of work. Inevitably, your role is going to require you to achieve certain deliverables and goals. You should also set your own goals, because personalized goals will make your work more meaningful and help you on your career path over the long term. Wise managers will support you in this endeavour. You can make your brain more productive: It’s one thing to make time for an important task, but it’s another to make that time deeply productive. In the February 2018 issue of Observe magazine, neuroscientist Dr. Brynn Winegard describes eight ways to “boost your brain.”5 You may already know that multitasking isn’t really possible, but did you know that you should focus on a task for no more than 90 minutes at a time, followed by a 15-minute break, for optimal performance? And don’t be afraid of what you find! It’s all a part of the process of discovering who you are through your work. No matter how experienced you are, job searching can be highly stressful. 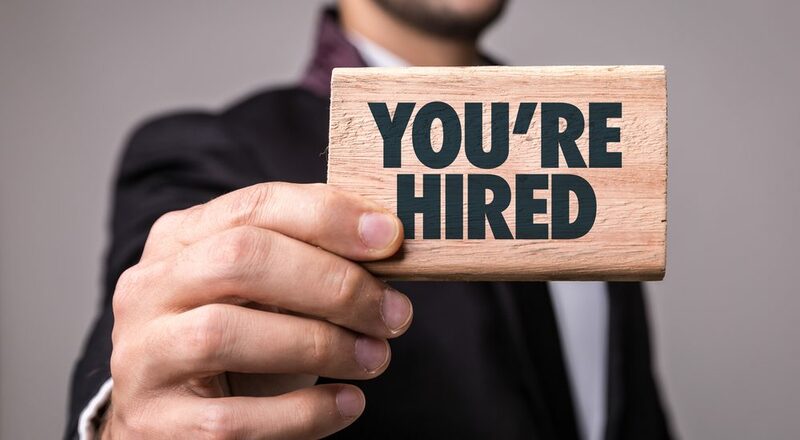 The probationary period for new hires can also be highly stressful—whether you’re starting at the entry level or in the C-Suite. The strategies outlined in this article are designed to help you wherever you may be in your career—I hope you find them useful, and I wish you success! Originally published by Suzanne Berry, a career advisor for CPABC, to CPABC’s Industry Update. 2Margaret Morford, “The Hidden Language of Business: Workplace Power, Politics, and Influence,” presented at the 2018 CPHRBC & Yukon Annual Conference on May 2, 2018. 3Suzanne thanks Ian Christie of the Bold Career Project for sharing this point in his PD seminar, “Maximizing Marketability for Finance & Accounting Professionals,” presented by CPABC on August 10, 2018. 4Suzanne thanks Greg Campeau of Campeau Learning for sharing the priority matrix concept in his PD seminar, “Time Management – The Essentials of Productivity Skills,” presented by CPABC on December 14, 2017. 5Dr. Brynn Winegard, “Boost Your Brain,” Observe – The Odgers Berndtson Global Magazine, No. 14, Issue 02/2018: p. 49, June 26, 2018, odgersberndtson.com. Suzanne thanks Dr. Winegard for sharing her brain productivity tips in her opening keynote, “Engaging People,” presented at the 2018 CPHRBC & Yukon Annual Conference on May 1, 2018. 6Joe Hirsch, “5 Coaching Questions to Build Your Self-Awareness,” (blogpost), joehirsch.me/blog-2, December 13, 2017. https://joehirsch.me/2017/12/13/5-coaching-questions/.